You’ve decided its time to make a change. That change? To get your drinking under control. You want to get those toxins out of your body once and for all. 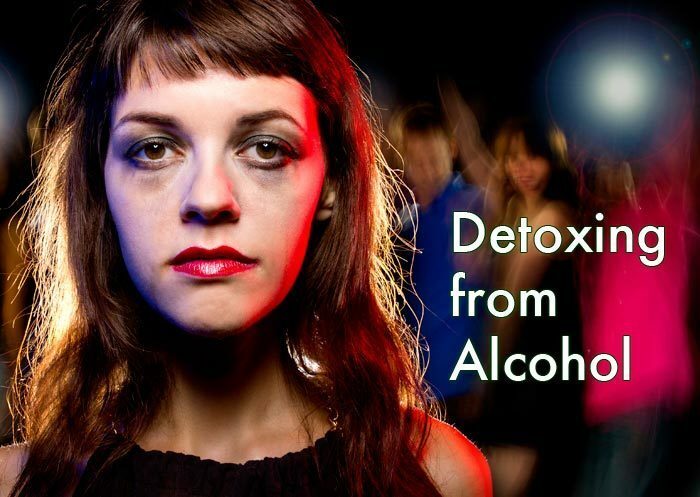 Alcohol detoxing is the first step in getting sober. The alcohol detoxification process takes about a week, to get all of the alcohol out of your system. This is a difficult, and sometimes painful process, but as long as your doctor gives you the green light, you can try to detox at home. It is advisable to follow up with a counseling or treatment program. Although detoxing is an important step in the road to quitting drinking, it can be a very dangerous process, so make sure you talk to your doctor before proceeding. Your physician will be able to tell you the safest method for detoxing for your specific case. It is a case-by-case situation whether or not alcohol detoxing at home is right for you. Serious long-term addiction and abuse is more likely to require medical supervision than the occasional binge drinker. Depending on the severity of your addiction, you may need medical intervention or treatments to get you through this process. To aid you through the process, your physician can also prescribe medications, vitamins, and supplements. I know this day in age, its hard to get a full week off of work and life in general, but if you want your alcohol detox to be successful, it is 100% necessary. If you’re doing this at home, make yourself as comfortable as possible. Load up on books and funny movies. You’re going to need them. 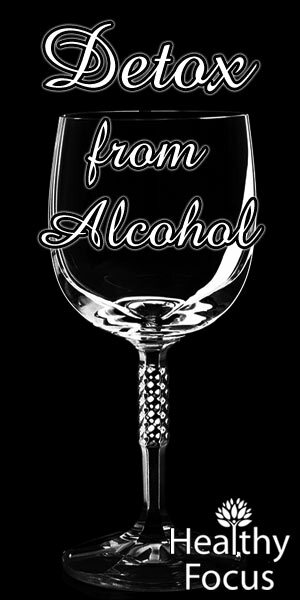 Its highly advised that you have a family member or a friend to come stay with you during the first 3 days of your alcohol detox. This person will not only hold you accountable, they will also be your rock to get you through the more painful symptoms. This person should be someone you trust, someone that will comfort you and keep you safe in case your withdrawal symptoms become too severe. Detoxing from alcohol is not a one-size-fits-all experience. Generally, detoxing is not a pleasant experience, but the symptoms vary from person to person in terms of severity and how long they last. You and the person helping you through the detox process should be prepared for following symptoms to occur within a few hours or your last drink and to last from 3-7 days. Some severe symptoms may occur such as hallucinations, seizures, and delirium tremens. Deliriums tremens can occur between 24 and 72 hours after consuming your last drink and is more common in chronic alcoholics. The symptoms of Delirium tremens are characterized by body tremors, disorientation, and extreme agitation. Detoxing can be a dangerous process, so its important when you and your support system know when its time to get medical help. If you experience any of the following symptoms, your support system should either take you to the emergency room or call 911. During the whole detox process, you wont be in any condition to leave your house and your support system should plan on not leaving you alone for the first three days of detox. There are going to be times when you wont have an appetite or won’t be able to keep food down, so its important to have the right food on hand. Don’t force yourself to eat large meals, but do try to eat when you can. Before detoxing, make sure you have several days’ worth of fresh food and water stocked in your home. Make sure you’ve loaded up on healthy foods that will help you replace the nutrients you’re losing through the detoxification process. Protein: Foods high in protein such as chicken, fish, or even peanut butter. Oats: Oats are great for controlling blood sugar. Fruit: Fresh fruits such as berries, which are great for alleviating, sugar cravings. Bananas lift the mood and are a good source of energy, potassium, and fiber. Fresh vegetables: Fresh vegetables help replenish the vitamins and nutrients lost during the detox process. Soup: Soup is an easy food to eat, especially for those who lose their appetite during the detox process. Its extremely important that you keep yourself hydrated while detoxing. Drinking enough water will help alleviate some of the withdrawal symptoms and will also help your body flush out the toxins. You can also drink sports drinks to replace electrolytes if your vomiting or experiencing diarrhea. However, consuming these sports drinks should be limited to a day or two as the high sugar content can make symptoms worse. Avoid caffeinated drinks such as coffee and soda. Your sleep patterns are already going to be affected while detoxing and these caffeinated drinks will only make it worse. Caffeine will also worsen feelings of agitation and prevent you from relaxing. To help ease you through the detox process, there are herbal remedies and supplements you can take to help alleviate the symptoms of withdrawal. Due to the potential of liver damage from alcoholism, make sure that all vitamins and supplements are taken under the supervision of your physician. B-Vitamins: Regularly consuming alcohol burns up your b-vitamins. To address this deficiency and help the healing process, take a b-vitamin supplement. Vitamin C: Vitamin C helps to maintain your immune system, which can be compromised due to stress during the detoxification process. Vitamin A: Vitamin A is great for ensuring vision and nervous system health. Gotu Kola: Gotu Kola is a supplement that helps to alleviate stress and anxiety. Basil: Basil addresses craving and helps to flush the toxins out of your body. Angelica Extract: Angelica extract helps to minimize alcohol cravings and relieves headaches. Passion Flower Tea: This soothing tea helps fight insomnia that is common during the detox process. Getting outside for a few minutes to experience fresh air and sunlight is beneficial during the detox process. It is also important to get moderate exercise to help battle feelings of depression. Taking short walks or doing stretches are recommended. Frequent baths are also recommended to help ease withdrawal symptoms. Keep an eye on your withdrawal symptoms and keep an honest dialogue with your support system on how you’re feeling. This will help keep you two on the same page and also let your partner know if they should consider getting medical assistance if you’re symptoms become severe. A person usually experiences the most severe withdrawal symptoms within the first three days of detox. This is also the time a person is most at risk to experience serious complications, such as fever, delirium tremens, or seizures. However, if your condition is stable after 72 hours, your detox partner no longer has to stay with you 24 hours a day and but should still check on you daily. After about 3 days, you will start to see your silver lining. Symptoms, although still present, will start to improve. You will most likely still experience headaches and will not feel well overall, but your most severe symptoms should have subsided at this point. Keep drinking plenty of water, maintaining a healthy diet, taking vitamins, and getting exercise. All of these things will help aid in the recovery process. Once the week is up, you should be able to return to normal activities. Post detox, you still may experience some symptoms, such as irritability, headaches, and insomnia. These symptoms may persist for several weeks. Do not despair, that’s just your body adjusting to your new, alcohol-free lifestyle. Once you have completed the detox process, you may want to consider counseling or other treatment options to address your mental health. Some people find it helpful to join a support group. Participating in a group with people who have experienced what you have been through is a good place to seek advice. External support and treatment is helpful when you are experiencing cravings or just need to talk.